Epoxy injection is an old technology that has been replaced by carbon fiber. Epoxy injection is never to be used for waterproofing. We find that older repairs that have been done with epoxy can leak. Our company has a zero failure rate when we waterproof by injecting polyurethane. 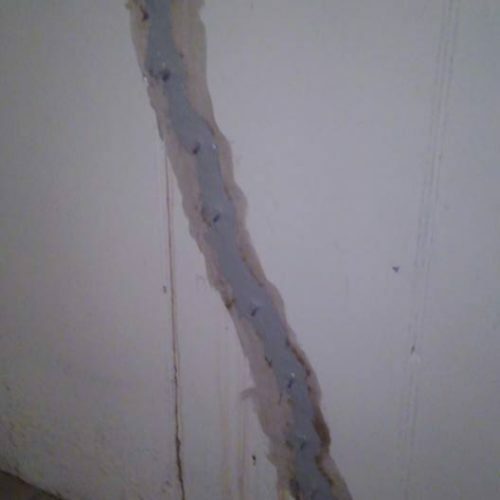 Epoxy injection is a hardening substance that is used for structural repairs, like cracks under I-beams. Like other injections, the cause of the crack must be determined before it can be filled. This will help prevent the crack from returning. We will also not drill into your wall to inject the epoxy. Instead, we use a port that is placed on the surface of the crack and the epoxy is injected into the wall. This will take about 18-24 hours to cure and harden. We will also do beam pocket packing. When an I-beam is poured too close to the outside wall, it can crack and fall out around the beam. 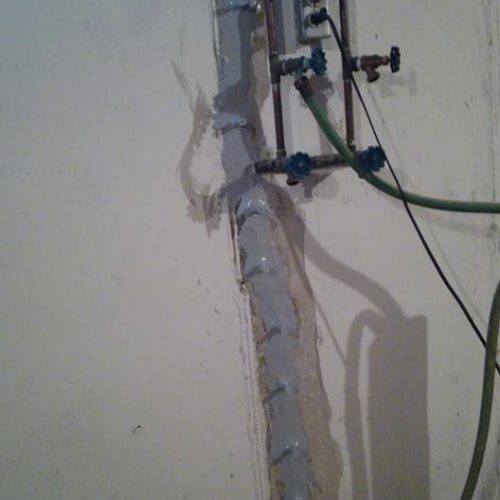 We come in with a material called Xypex (a hydraulic cement that waterproofs by crystallization) and pack it back flat with the rest of the wall.